JaguarLand Rover has won a legal battle against the Chinese car manufacturer, Jiangling, after raising a case of copyright infringement in 2016. Until now, the Chinese firm has sold an SUV which bears a clear resemblance to the Range Rover Evoque, called the LandWind X7, which the Chinese judicial system has now deemed unsuitable for sale. The Beijing Chaoyang District Court ruled that the LandWind X7’s similarity to the Range Rover Evoque has caused widespread consumer confusion, outlining five major design aspects which the Chinese car plagiarised from the British car. These include its basic silhouette, its roofline, its headlights and the near-identical body creases down the car’s flanks. As a result of its piracy, Jiangling must withdraw all LandWind X7s from the market and pay compensation to JLR. Keith Benjamin, JLR’s Global Legal Director, commented on the outcome, stating, “we welcome this decision of the Beijing court, which further strengthens our confidence in investing in China. Land Rover’s concerns over the Chinese copycat car were first raised in 2016. At the launch of the updated 2018 Range Rover, the firm’s design boss, Gerry McGovern, said the company was “wary of showing new concepts” because of such incidents. McGovern was concerned that the design of a forthcoming car could be copied from the concept before Land Rover could launch the production version. 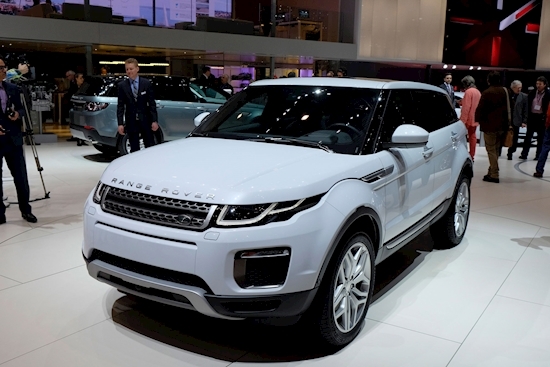 Shortly after the new Range Rover’s launch, the British firm filed an updated copyright for the Evoque’s design and an unfair competition complaint against Jiangling Motors. “The success of Jaguar Land Rover is based partly on its unique design and engineering attributes, which we believe are worth protecting across all markets,” said a further JLR spokesperson. Land Rover isn’t the only brand to fall victim to alleged copycat designs. Chinese manufacturer Zotye has previously gained notoriety for producing models which seem to be copy-and-paste versions of the Porsche Macan, VW Tiguan and Smart ForTwo.